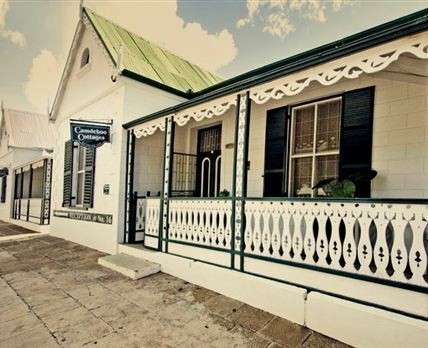 Camdeboo Cottages comprises nine self-catering cottages which are all national monuments, situated in the heart of historical Graaff-Reinet. These cottages form a secluded courtyard with covered carports, a swimming pool and a garden. Bed and breakfast or self-catering accommodation is provided and a variety of evening meals are also available, with dinners being served in the cottages or on the veranda next to the swimming pool. All cottages offer air-conditioning, electric blankets in winter, en-suite bathrooms, televisions with selected DStv, fully equipped kitchens, and coffee and tea-making facilities. Click here to enquire at Camdeboo Cottages.